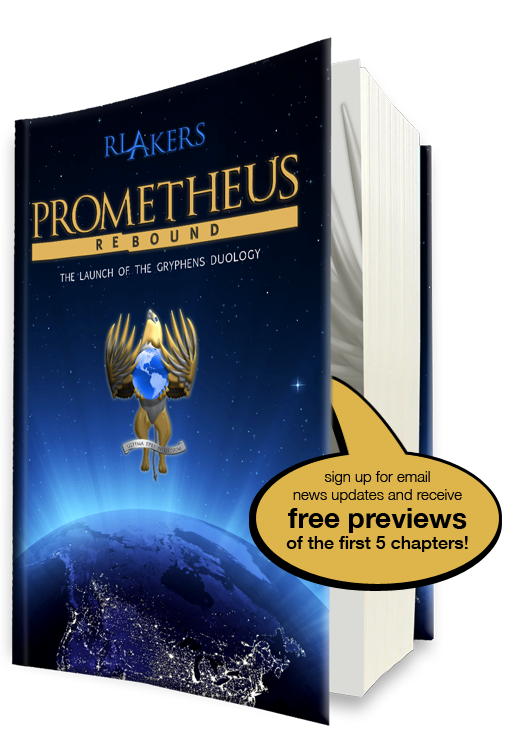 As we ramp up to the release of Prometheus Rebound, four excerpts of the novel will be posted here at intervals. But it's not that simple! If you want to be the first to read them, you'll need to be the first to decrypt them as well. Prizes will be awarded to the codebreakers who first defeat each cipher, after which the excerpts will be unlocked for anyone to view. Note: If you have trouble decrypting, be sure to sign-up for the Excerpts RSS feed at RLAkers.com so you'll be notified when a code is cracked! Contest is free to enter for all participants. Children under 18 must have parent's permission. There are only three prizes available, one each for the first individuals to decrypt the three encrypted excerpts listed on this page. A participant cannot win more than once. No prize is available for the unencrypted excerpt titled "KLINE." "Brute force" attempts to crack decryption codes, or to otherwise "cheat," will not be tolerated. The administrator of this website reserves the right to identify and deny "cheating" attempts according to his own judgment. As such, winning submissions will be subjected to scrutiny and verification prior to acceptance. Simply being the first person to submit the correct code does not constitute winning the contest. The administrator of this website serves as the sole ruling body in decisions regarding contest winners.